What’s a girl to do when it’s two against one? Or when he has a gun? These situations bring tension into the life of forensic librarian Aimee Machado, heroine of the Machado Mystery series. It would be easy to give her a black belt in jujitsu and let her wreak havoc on her attackers. But would it be honest? Only if it’s real. Aimee isn’t Bat Girl or Wonder Woman. She’s just as real as any woman who opens the pages of Due for Discard or Checked Out. Well, she would be just as real, if she weren’t a fictional character. The point here is that everything that happens in the Machado Mystery series is based in reality. If it happens in the books, it could happen in real life. Of course, Aimee is a bit of a magnet for trouble. First it was two guys with a tire iron and some bad ideas. That’s when she got serious about her martial arts workouts. When the big, mean dude with a gun came along, she was ready. If she isn’t dealing with difficult doctors in her job at Timbergate Medical Center, or at home in her cozy studio apartment above her grandparents’ llama barn, Aimee can be found working out at her local dojo. Remember, women’s self-defense isn’t just something that spices up books and movies. It’s available to all women who want to be the heroines of their own stories. And it’s real. Writers are told to write what they know, and to research what they don’t know. Aimee Machado, the protagonist in Due for Discard, met her problematic boyfriend, Nick Alexander, at a gun range. 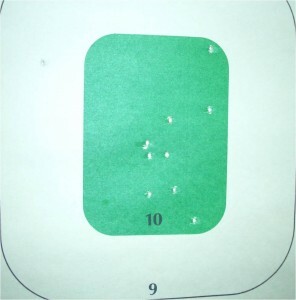 How to write about that when my experience with firearms was limited to the single shot Daisy BB gun of my childhood? 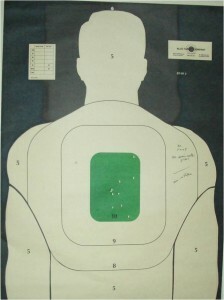 I had never been to a gun range before, so I asked my son to take me for shooting lesson. I came away with a new sense of reality about what it’s like to fire a weapon. I discovered that it involves four of the five senses. The gun was heavier than I expected, the sound was louder, the shell casings flew faster and farther than I expected, and, of course, the smell of gunpowder lingered in the air. Come to think of it, that smell was so strong I could almost taste it. 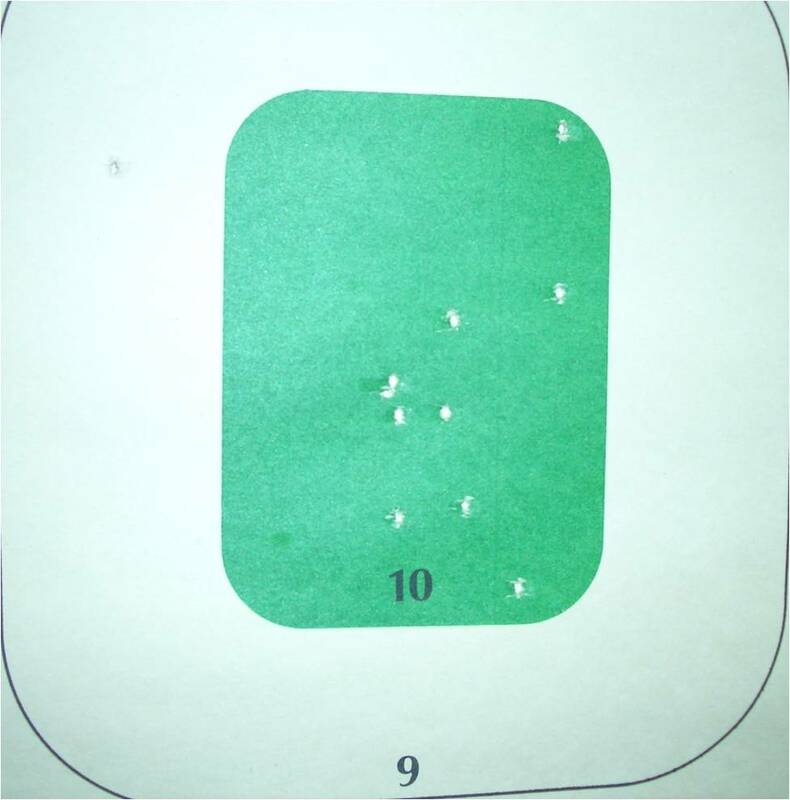 But the best part was seeing the look on my son’s face and hearing him call me “Deadeye” when 10 of my eleven rounds hit inside the little green box in the center of the target. It turns out Aimee Machado is a crack shot with a semi-automatic 22 Smith & Wesson. That might come in handy. The hospital where she works as a forensic librarian has more than it’s share of intrigue, and the rural northern California county where she lives has more than it’s share of crime.